It’s peak summer & your car battery will surely feel the heat! Dubai, UAE – If you have owned a car for a while in UAE, you would agree that the life of a car battery is much lesser in this part of the world, even lower than what manufacturers generally guarantee. There is no rocket science involved but it is important to understand the reasons. Batteries contain liquids which evaporate at high temperatures, putting the internal structure of the battery at risk. After all, a battery is an electro chemical device and the chemical reaction is effected by temperature. Now you would be wondering; heat should be good for chemical reactions. Yes, that is true. Chemical activity gets accelerated with increase in temperature but it also increases the internal corrosion rate. The damage once done, is irreversible. It will be wrong to blame only heat for reduced battery life. There are other factors too, which effect battery life; charging & usage pattern. A faulty electrical system causing over charging can damage the battery. Thank God, we live in the age of technology. We can’t fight nature but we have ways to protect batteries from extreme weather conditions and other threats; increasing the overall life. Let us look at how, Silver-Calcium batteries are a good solution. 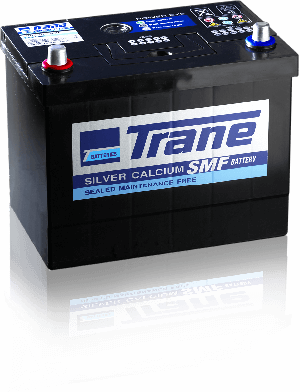 TRANE is one of the pioneers in this technology and manufactures Silver Calcium Sealed Maintenance Free batteries. These batteries even have special charge acceptance boosters which neutralize lead sulfate thereby making recharging, easy. The safety aspect has also been considered and the specially designed lid prevents acid spillage, allows gas venting only from a centralized location and is equipped with flash arrestors for security against sparks and flames. TRANE is readily available in the UAE market and is exclusively distributed by ZAFCO. The vast distribution network of ZAFCO ensures that TRANE branded batteries are available at various touch points across the country and can even be purchased through some online portals offering door step delivery and installation. ZAFCO’s automotive retail division- ZDEGREE too, offers this service.